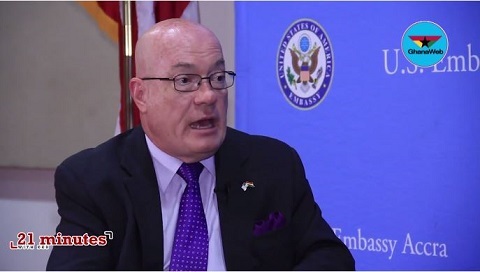 The outgoing US Ambassador to Ghana, Robert P. Jackson, has stated that nothing untoward has happened in Ghana nearly four months after the opposition National Democratic Congress (NDC) went berserk and claimed that the Akufo-Addo administration was scheming to allow the US Government to establish a military base in the country. Addressing the media on Tuesday to highlight the key achievements of the US Government in Ghana during his two-and-half-year tenure, Mr Jackson explained that contrary to the claims of the NDC, no US military base has been built in the country and that the defence pact posed no threat to the country. Government entered into a Defense Cooperation Agreement with the US military in 2017, but the NDC, in an attempt to throw dust into the eyes of the public over the move, argued that the Akufo-Addo administration had entered into an agreement with the US for the establishment of a US military base in the country. The NDC indicated that Ghana could become a target for extremists if the agreement with the US was ratified. The party’s General Secretary, Johnson Asiedu Nketia, at a news conference in Accra, explained that the agreement would send wrong signals which could subsequently make Ghana vulnerable to terrorist attacks. That was in spite of the fact that the NDC ‘secretly’ reached similar agreements in 1998 and 2015. “Of course, Ghana remains an active participant in international peacekeeping, and we continue to provide equipment for that, he stated. “But we really see this agreement as an equal partnership; we are very excited about the capacity of both countries to contribute equally to that partnership. The outgoing US ambassador also said contrary to assertions by a section of the public, the two Gitmo detainees- Mahmud Umar Muhammad Bin Atef and Khalid Muhammad Salih Al-Dhuby- have not attracted terrorists to the country or caused problems for the security of the country since their arrival about two-and-half-years ago. 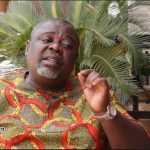 “I don’t believe Ghanaians should be concerned about their presence here in Ghana based on a track-record that is now two and a half years long,” he said.